After a bit of delay, we were able to return to the WICC transmitter site to install the Wireless LAN link. The installation was pretty straight forward. 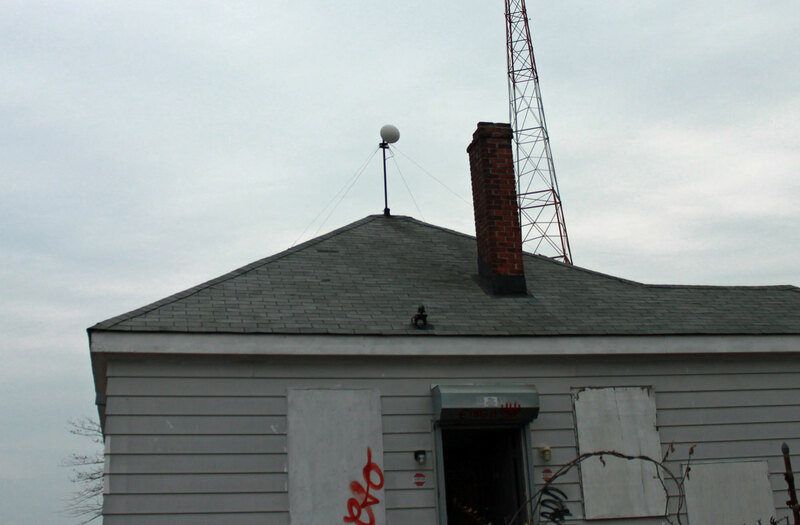 The studio unit was mounted on an existing STL tower on the top of the elevator room, the transmitter unit was mounted on an existing pipe on the roof of the transmitter building. I included RADOMEs for a couple of reasons; first, there is a lot of critters around of the two legged and winged kind. The upright two legged critters may be attracted to the signal strength lights at night. This unwanted attention could invite the juvenile delinquents bored teenagers to throw various objects found laying around on the ground at the antenna, damaging it. 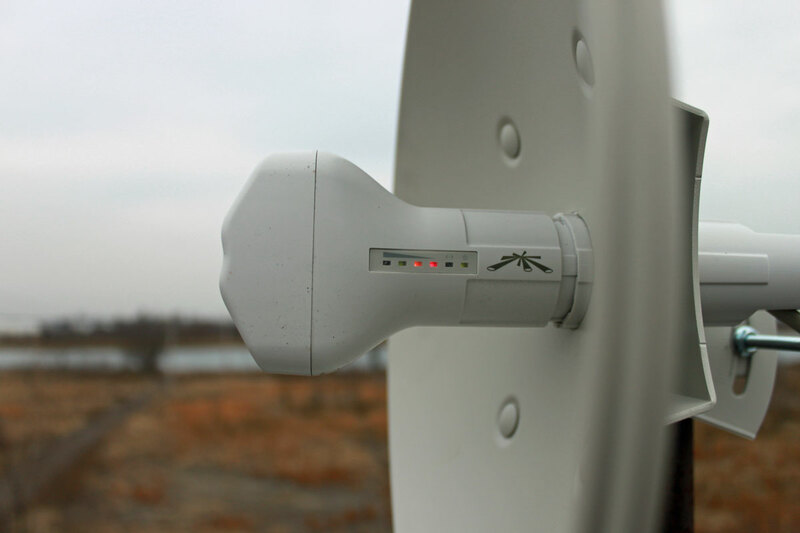 The winged type critter may be inclined to view the feed horn as a good nesting location. The other reason is this site gets a lot of rain, wind, ice and snow, therefore the RADOMEs afford some protection against the weather. Then, somebody on either end went below and looked at the signal strength screen on the web interface while the other end was peaked. In the end, we had about -65 dBm signal strength, which is somewhat less than the -58 dBm predicted. I think we can do better, so on the next clear day, I am going to peak the signal again. The data rate initially reported was over 100 MBPS, however, once I started transferring files back and forth, that dropped to about 50 MBPS. If it is raining, that rate drops to about 35 MBPS, which is still far above what we need this link to do. As a test, I streamed a youtube video, downloaded a windows update, loaded several web pages and checked my email simultaneously. There where no issues with the data rate while those tasks were being preformed. It is quite amazing to me that these little inexpensive radios can work so well. My boss thinks that they will be blown up by lightning during the first thunderstorm of the season. I don’t know. There are several of these units that have been installed at mountain top tower sites and have been working for several years without issue. Next step, installing the IP cameras and warning signs on the fence, setting up the monitoring software, etc. 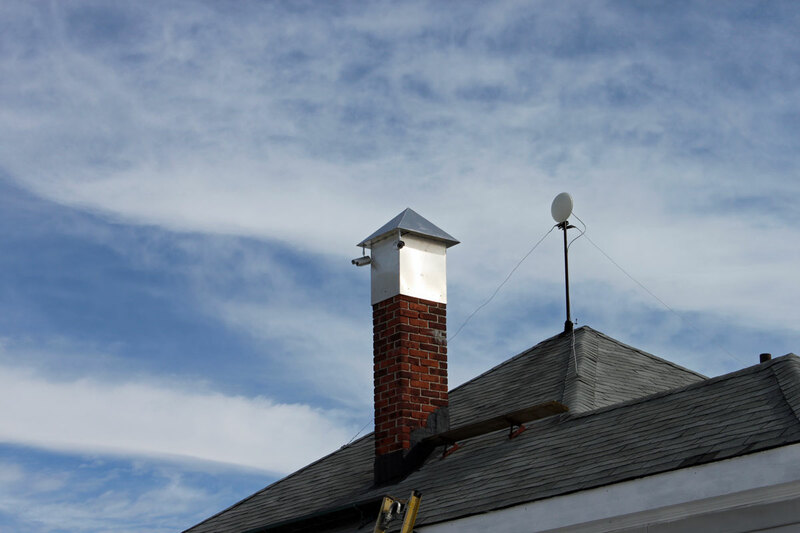 Cameras mounted on old chimney platform. This is the first set of cameras covering the south, north and west approaches. A fourth camera will be mounted on the back of the building covering the east approach. Then, under the eves cameras will be mounted on all four corners of the building and the generator shed. If anything moves, it will be recorded.